Thousands of fatalities and many more cases of severe injuries are reported each year as a result of pedestrian accidents. At The Brod Law Firm, our Bala Cynwyd car accident lawyers are often retained by pedestrians injured by cars or other motor vehicles for the purpose of obtaining compensation from negligent drivers for medical bills, lost wages and pain and suffering. Gary Brod has successfully represented more than 475 cases involving pedestrians struck by various motor vehicles including automobiles, construction vehicles, buses, taxis, trolleys and tractor trailers. Our Bala Cynwyd pedestrian injury law firm is very convenient to many areas, the Main Line, i.e Merion, Merion Station, Haverford, Upper Darby and Havertown as we are close to City line Avenue and approximately one mile from Route 76 (Schuylkill Expressway) We are near the Philadelphia areas of Manyunk, Roxborough, East Falls, Overbrook Park and West Philadelphia. Pedestrian and pedalcyclist fatalities increased to a level not seen in 20 years. NHTSA also noted human factors continued to contribute to the majority of crashes. Research shows almost one in three fatalities involved drunk drivers or speeding. One in 10 fatalities involved distraction. Click here for a 2015 Lives Saved Research Note. Click here for a 2015 Overview. Why Choose Bala Cynwyd Pedestrian Accident Attorney Gary Brod? At The Brod Law Firm in Bala Cynwyd in Montgomery County, car accident lawyers successfully litigate and settle these cases each year and obtain maximum recoveries for our clients. The Brod Law Firm's expert Bala Cynwyd pedestrian accident attorneys litigate and settle many successful pedestrian accident cases each year. The roads in Montgomery County can be especially hazardous for pedestrians due to high volume of motor vehicles. We see pedestrian accident cases from all of Montgomery County, from Norristown, King of Prussia, Plymouth Meeting, Lansdale, Montgomeryville to Willow Grove, Pennsylvania. We have successfully resolved over 634 motor vehicle accident claims in Montgomery County alone involving all types of motor vehicles, including cars, buses delivery trucks, vans, tractor trailers, dump trucks, cement trucks, garbage trucks and tanker trucks transporting combustible materials and foods. 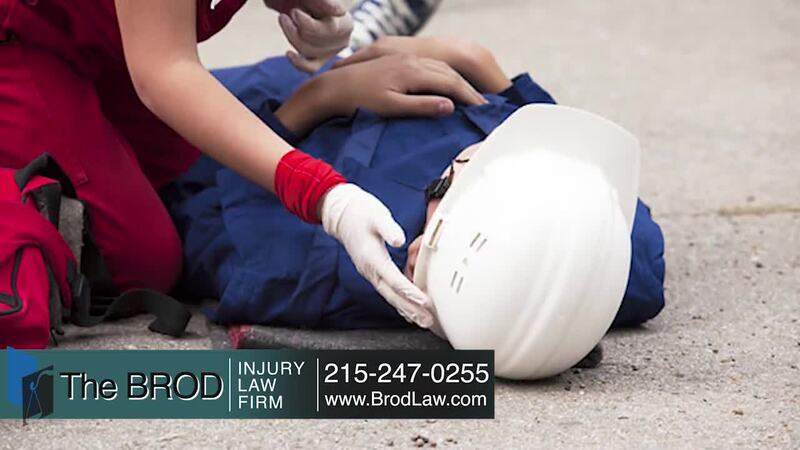 Contact The Brod Law Firm today to speak to one of our expert Bala Cynwyd pedestrian accident attorneys. At The Brod Law Firm our personal injury attorneys work for victim's rights. Contact The Brod Law Firm today to speak to one of our experienced Bala Cynwyd injury lawyers. Call top pedestrian accident attorney Gary Brod anytime at 888-435-7946 (888-HELPWIN) for a free no obligation consultation and explanation of your legal rights. We also have the option of online and easy phone sign-up process and we can begin work today.